It’s like MiddleEasy but for your ears. 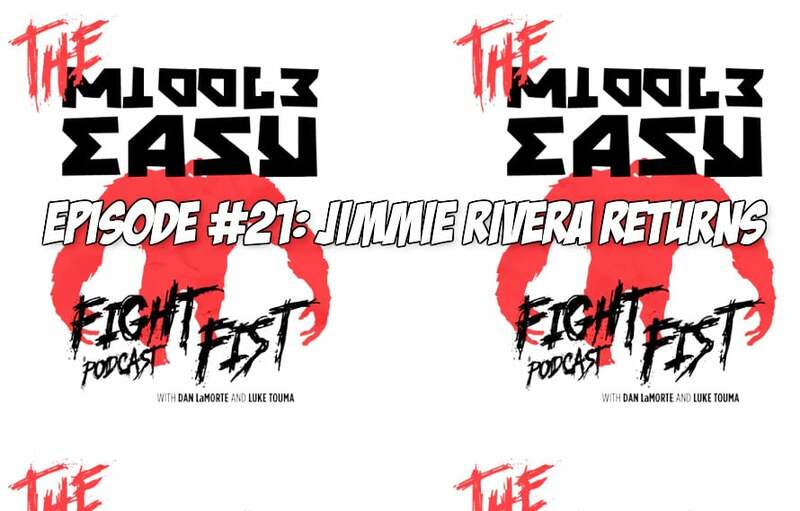 Thanks to comedians Dan LaMorte, Luke Touma and Diego Lopez episode 21 of MiddleEasy Fight Fist Podcast is here. Hey Fisters, we’re back. It’s a short one this week as the guys got to sit down with Jimmie Rivera again before his big fight June 1st at UFC Utica. Jimmie was on a tight schedule, so we visited him at his gym in New York City to chat. We talk fight prep, growing up in fighting and a fun little prank Jimmie played on his upcoming opponent. As always please rate and review the pod. Thanks!